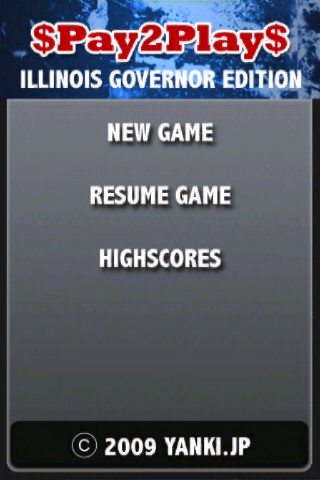 Ever wanted to be an Illinois governor? Well now you can! Pay2Play is the game of trading and danger. 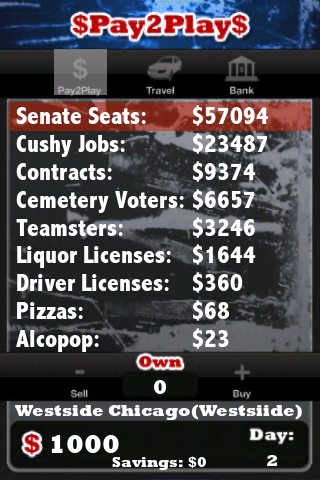 How much money can YOU make selling senate seats? Head all over Illinois trading your way to success! 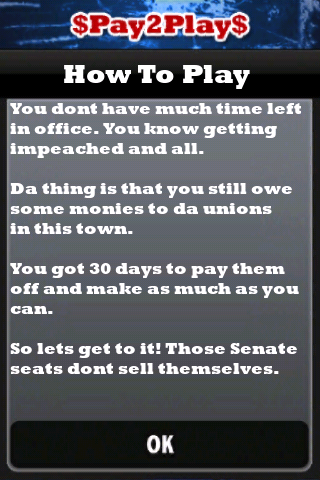 You have 30 days to pay back the unions, make tons of cash, and get out of town all before getting impeached! 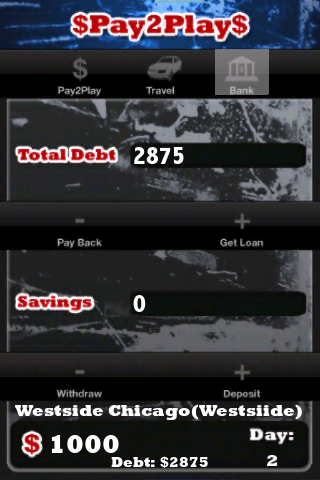 Transposing a trading game such as Dopewars with a slick interface on the iPhone. Also a gaming first! Alcopops make it to the game scene for the first time. See what Illinois politicians have been so worried about! Pay2Play… a time honored tradition as old as voting early and voting often!